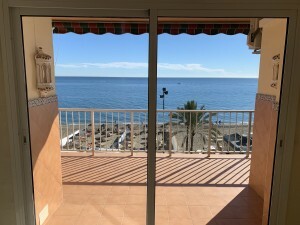 Beautiful townhouse is in the center of Fuengirola. The house of 3 floors consists of 5 bedrooms, 4 bathrooms, spacious living room with a fireplace and direct access to the terrace of 30 meters with a barbecue and a fountain. Separate fully fitted kitchen facing small terrace in the main entrance . Master bedroom connected with terrace and gym. There is a cellar lounge, its a spacious place to construct a sauna or cinema room. Solar panels.Private garage for 2 cars. 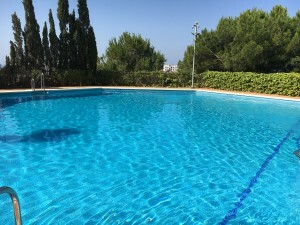 Located in a quiet street, but very close to all the amenities, like shops, supermarkets, pharmacies, banks, walking distance 5 minutes to the beautiful seaside and beaches, bus and train station.Just 20 minutes by car and 35 minutes by train from the airport of Malaga.